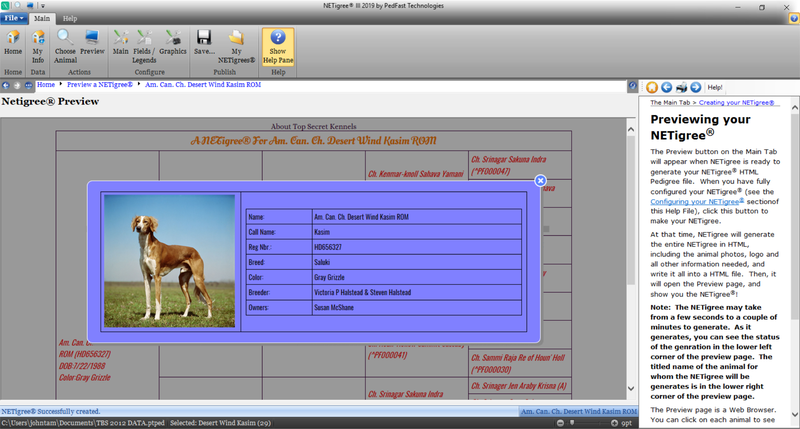 Back in 1996, Man's Best Friend Software (now PedFast Technologies) introduced the world to NETigree®. The web was just a few years old, and at the time, the interactive online pedigree was something that nobody had even considered. Now, the Internet is decades old, and the technology has matured. And now, PedFast proudly introduces NETigree® III - completely redesigned. 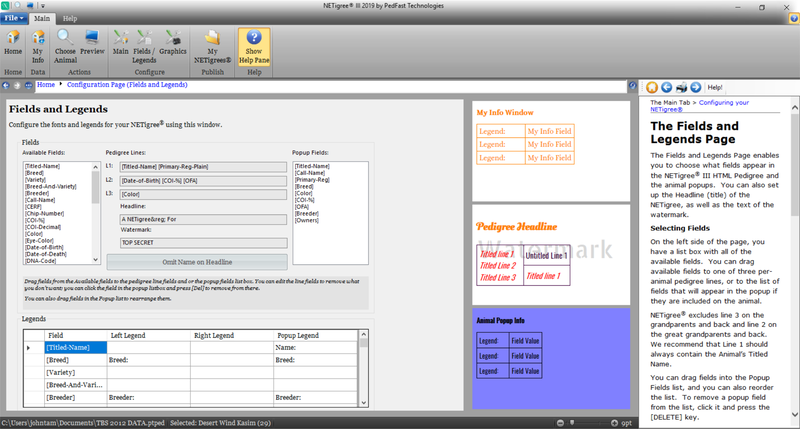 NETigree® III produces the finest pedigrees that you can put on a web site. Single-file page generation - photos are embedded so that you get faster page loads and more control over your NETigrees. Equestrian's Standard™ 2016 or newer. Fully interactive web browser previews allow you to test all of your settings before you publish the NETigree to the Internet. Each animal has a pop-up window to give photo and or animal information. 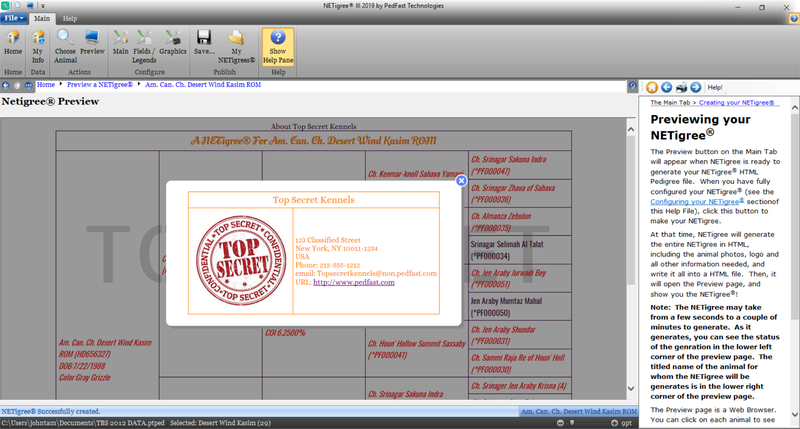 A popup window also appears to tell of your business. 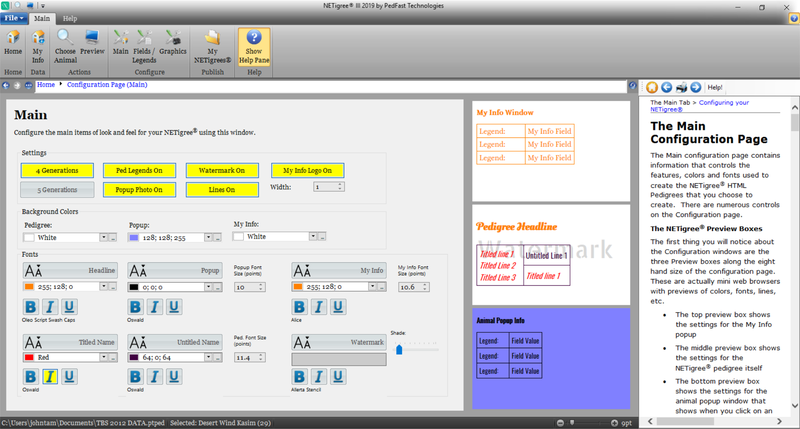 You can configure up to 900 fonts, a watermark, the color and size of the lines, and much more. You can also choose the animal fields that appear, both on the Pedigree and on each animal pop-up. 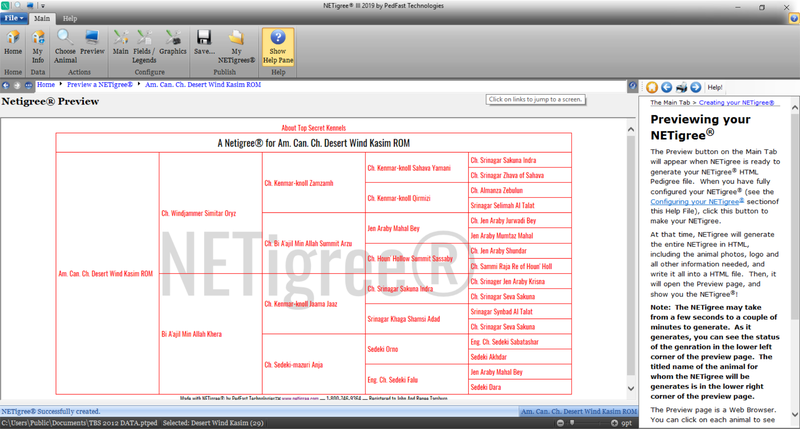 You can also save all of the pedigrees you create into a "My NETigrees" folder in your Documents folder, and use NETigree® III 2019 to trst them in any browser installed on your computer. We don't just talk about NETigrees. Here are three actual NETigrees from our program. Click on any of the example links below and look at live NETigrees. NETigree® III 2019 is available now! You can download a trial version that will let you preview pedigrees for up to 14 days (saving and outside-browser testing are disabled until activated after purchase). NETigree® III is $39.99 new. To upgrade from older NETigree versions, the cost is $25.99. It requires that you already have a license to one of the programs listed above. Coming soon: NETigree® III Professional Edition, which will license you to create NETigree web pages for people other than yourself. PedFast Technologies™ -- We've perfected what others haven't thought of yet. * Google provides Google fonts free of charge. PedFast Technologies is not affiliated with or endorsed by Google or Alphabet, Inc.